Last May, a semi truck driver from Moorhead, MD fell asleep at the wheel on Interstate-10 in Washington County. One month later, he was charged with careless driving. Fortunately, no one was killed in that accident. Not all victims of truck accidents are so lucky, however. Though there are regulations in place that are meant to prevent accidents caused by truck driver fatigue, truck accidents are still an all too common occurrence. In 2014, a truck driver in Pennsylvania fell asleep at the wheel and caused a 10-car pileup that killed two people. The driver was charged with homicide by vehicle, aggravated assault while driving, and reckless endangerment. When truck drivers fall asleep at the wheel, the results can be fatal. If you recently lost a loved one in a trucking accident, or if you were recently injured in a Miami truck accident, reach out to the personal injury lawyers at Spencer Morgan Law. We will help you prove liability and ensure you get the compensation you deserve for your loss or damages. Ignoring traffic signs and signals. Falling asleep at the wheel is another way that drivers commonly breach their duty of care. In fact, according to the National Highway Traffic Safety Administration, more than 100,000 accidents are the result of drivers falling asleep at the wheel each year, and are the cause of 1,600 traffic fatalities and 72,000 injuries. Unfortunately, trying to prove that a driver fell asleep at the wheel before crashing is tough without an outright confession. In general cases it can be difficult to prove that a driver fell asleep at the wheel; however, truckers are required to follow strict protocol regarding their drive time, down time, and sleep time. The Federal Motor Carrier Safety Administration mandates that all commercial drivers are required to record their status for each 24-hour period that they are on duty, and that they must be able to provide logs for up to seven consecutive days. Drivers are not permitted to drive more than 11 hours following a 10-hour off-duty period; they may not driver after the 14th hour after coming on duty following 10 consecutive hours off duty; and they may not drive after being on duty for 70 hours in any period of eight consecutive days. If we believe that the accident was caused by a truck driver who fell asleep at the wheel, we will examine those logs thoroughly and make note of their on-duty not-driving time. Unfortunately, truck drivers do falsify their logs, so it is important to examine other business documents as well, including any motel receipts, gas receipts, records of their on-board recording device, and any satellite communication records. Even if the driver did everything right, they can still be held liable for falling asleep at the wheel and causing an accident. 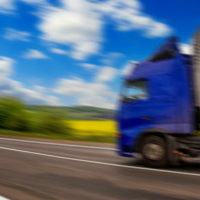 Truck drivers are required to stop and rest when they begin to feel too drowsy to drive (as all drowsy drivers should). If you or a loved one was injured in a truck accident, or if you lost a loved one due to truck driver fatigue, you are entitled to compensation for your losses and/or damages. To retain the help you need to win your case, reach out to the Miami truck accident lawyers at Spencer Morgan Law. Contact us online or by phone to schedule your free consultation today.